The Department of Computer Application envisions imparting high eminence skills in software Development to excel in Software Industry and to train the students to develop the soft skills with global standards and enhance their knowledge in Information Technology. The department aims to develop academically competent and professionally motivated personnel, equipped with objective and critical thinking that compassionately foster the scientific temper with a sense of social responsibilities. The Department aims at providing high quality training to students through the latest in computer technology. In order to maintain the standard of education, the department constantly upgrades the academic information so as to keep the students well trained to deal with changing trends in the field of Computer Science and Technology. The department has a good record, as many students have been well placed in good IT Companies through campus placement. The curriculum and the lab training help the students in acquiring excellence in their career. Teaching aids like LCD Projector. Class Rooms with Personal Computers. Every Year Students undergo project training inside the campus. We will not send any students outside for the project work unless they are selected for internships. Every year we train our students on the latest technology through Skype sessions. Techfest is the annual technology festival Organized Every Year by Department of BCA ,Cauverians . The Technical Event was started in the Year 2010 with name Tech Voyage . Now It is renamed as CAT in the Year 2016-17 . 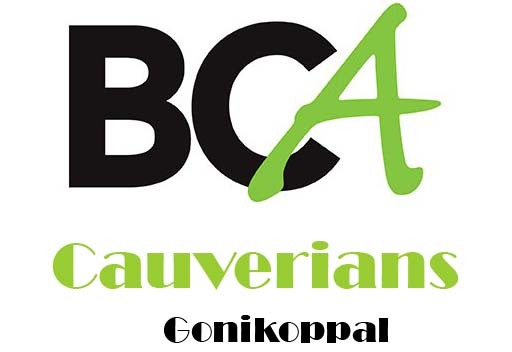 It is an Event Organized by Students of BCA,Cauvery College,Gonikoppal for the Students of BCA and PU Science and Computer Students in and around Coorg and Mysore District . It refers to the independent body of students who organize this event along with many other social initiatives and outreach programs round the year. Techfest is known for hosting a variety of events that include various competitions. Click here for department website.